I actually remember when Elizabeth Arden Red Door came out in 1989. I was a tween and was just starting to get into beauty products. I used to practice putting on my mom’s makeup and wearing her perfume. One of them was Elizabeth Arden Red Door! It was one of my favourites out of all her perfume bottles. 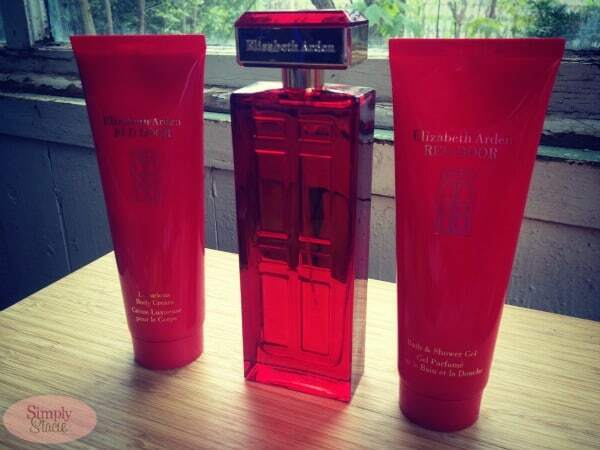 Elizabeth Arden is celebrating their 100th Anniversary and has relaunched Red Door with a new look! It’s still the same fragrance that we know and love, but the box and bottle have been updated. I love the new look with it’s modern design. The bottle is especially unique and it’s quite literally a “red door”. 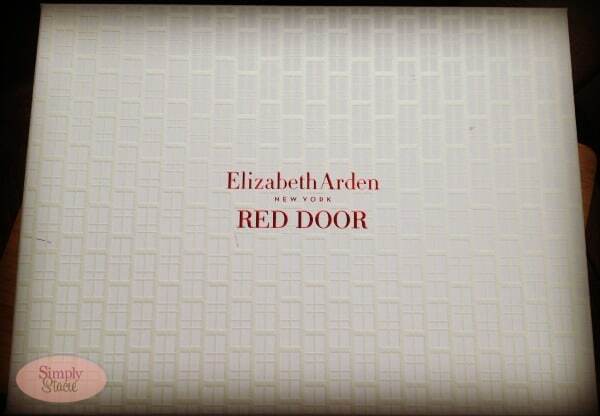 When I think of Elizabeth Arden, the first thing that comes to my mind is the iconic red door. 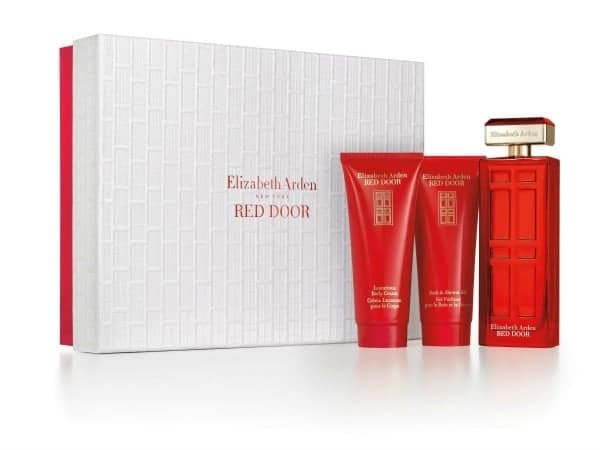 If you are looking for a last minute Mother’s day gift, I recommend picking up an Elizabeth Arden Red Door Mother’s Day Set. It includes Red Door Eau de Toilette Spray, Red Door Luxurious Body Cream and Red Door Bath & Shower Gel in a gorgeous white gift box. My mom loves to be pampered and I know she would fall in love with this set. She enjoys taking a relaxing bath every day (vs. a rushed shower like me) and always looks her best. Maybe that’s her secret of looking so young I’m not sure! I know that she has worn Red Door in the past so I’m thinking of heading to Shopper’s Drug Mart and picking her up a set. I’m keeping mine for myself though! It’s nice to treat yourself once in awhile. Red Door is a floral fragrance with its top notes being Lily of the Valley, Freesia and Wild Violets. It’s very soft and pretty. You can also purchase the products separately with the special anniversary packaging with the Elizabeth Arden landmark building pictured. The Red Door Mother’s Day Set is $65 and can be purchased at Shopper’s Drug Mart. So if you are still looking for a nice gift for mom, go pick up this set! One of my favorite scents of all time. Love the new bottle design. My mother loves Red Door! I actually got her a set similar to this one as a gift a few years ago and she absolutely loves it! Red Door seems like one of those classic scents that will stand the test of time in my opinion and it’s no wonder that it’s still a fragrance that women love still! I love the new bottle look; it’s very classy and structurally iconic! I think this makes for a great Mother’s Day gift! Yes! Great Mother’s Day gift idea!!!! Thañks so much, I know my mom would love this! I didnt realize Red Door has been around for so long. I really like the Red Door door bottle that is so cute. Any mom would love this for their Mothers Day gift. Its great that it has bath gel and body cream. I like their other scents also , all flowery fresh scents to choose from. I love Red Door, I first tried it when it came out in I thought the early 1990’s. I like most of Elizabeth Arden scents! I can’t believe it is their 100th Anniversary. Elizabeth Arden is such a name with perfume. I remember their ads and like the idea of them bringing this back. Red Door is my mum favorite. She been using it since I was a kid. Thanks for the info. it serve as a reminder to give my mum something she value and love for mother day. This brings back such fond memories. I love this perfume and I really love the new look. It is so hard to believe that they are celebrating their 100th anniversary. Thank you for sharing this. I’ve loved Red Door for many many years now! What a great gift set, perfect for anyone’s mom!